A gorgeous sunset over the fog-shrouded hills of West Marin. Encircled by the pristine sea and sky, surrounded by friends and family all enjoying the magical moment with fresh, award-winning cuisine, fantastic hand-crafted cocktails, and great music. 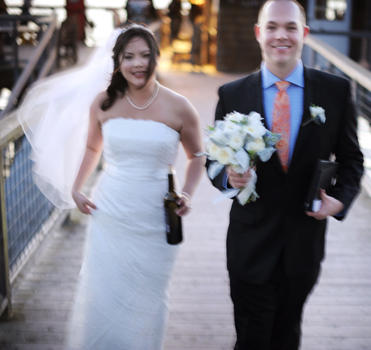 Let Nick’s Cove Restaurant, Oyster Bar & Cottages help make your dream wedding come true. 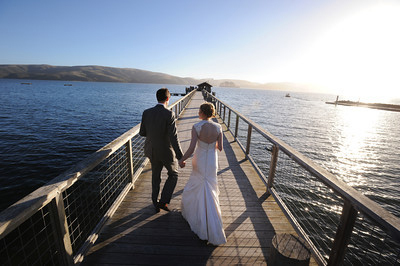 The coastline of Tomales Bay is the perfect setting for a romantic wedding and we provide an endless number of picturesque options where a bride and groom can celebrate their vows or capture their wedding photographs: the rustic simplicity of our boating pier, the casual beauty of our beaches, or even from the back of a chartered boat. Later, guests can enjoy an elegant, private reception at Nick’s Cove Restaurant and Oyster Bar, featuring the finest seafood, shellfish, meats, and wines that Northern California has to offer. 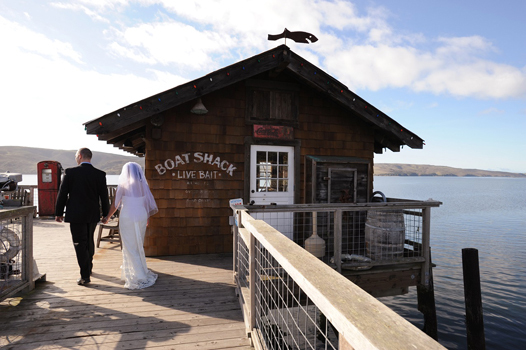 Following the reception, the happy couple can retreat to the peace and privacy of their romantic waterfront cottage with exquisite views of Tomales Bay, a wood burning fireplace, full bar and luxurious linens. Let us work with you to plan all the details for a flawless wedding at the spectacular Nick’s Cove, Restaurant, Oyster Bar & Cottages. For weddings with 50 or less guests, please review our General Guidelines. 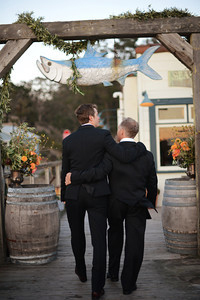 For weddings with over 50 guests, please review our Buy-Out Guidelines. For more information about weddings, contact our Events team.